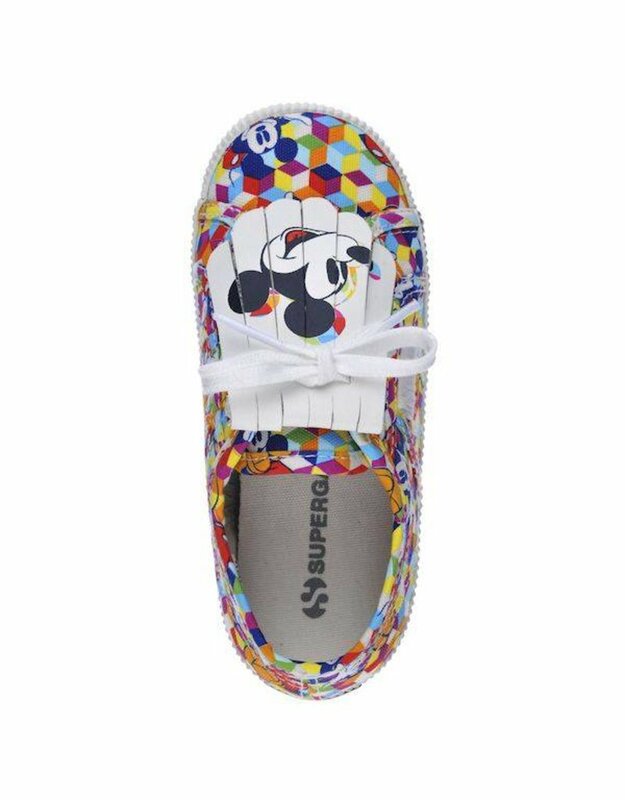 Original and sporty Superga 2750 shoes of Disney Collection. 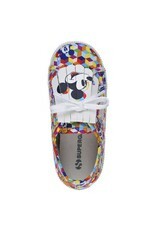 Sneaker for kids in cotton canvas printed with Mickey Mouse. 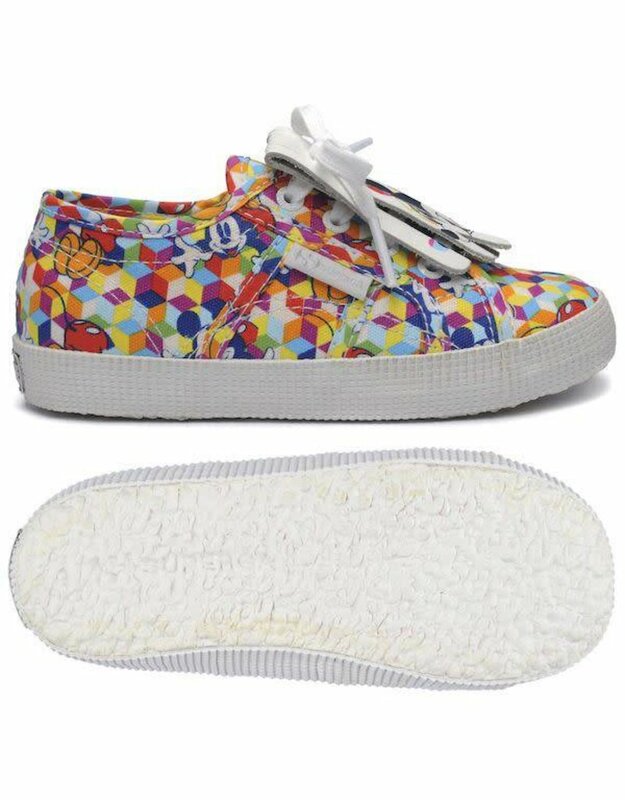 Removable fringe on the front in nappa leather and outsole in vulcanized natural rubber. Back patch says “Mickey" "Mouse”.